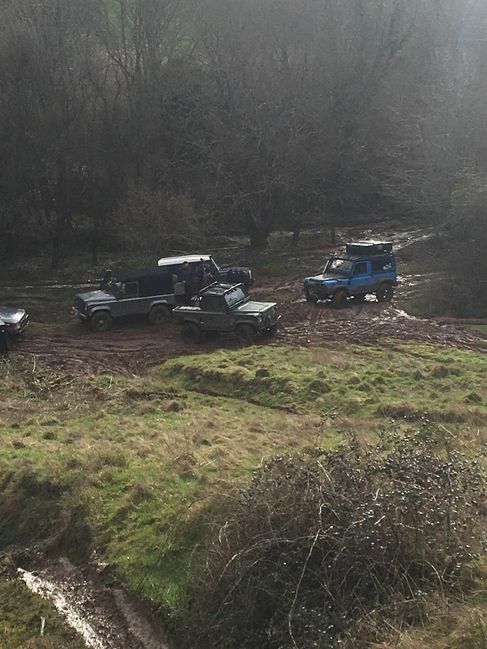 Brilliant morning with www.4x4adventures.co.uk at David Bowyer's course in deepest Devon, putting the 110 thro its paces, with a handful of other nutters enthusiastic 90/110 owners. Custom made steering guard from Uproar4x4 fitted. As others have said on here the customer service is exceptional. I wanted their standard steering guard with less holes and Scott was more than happy to do so. 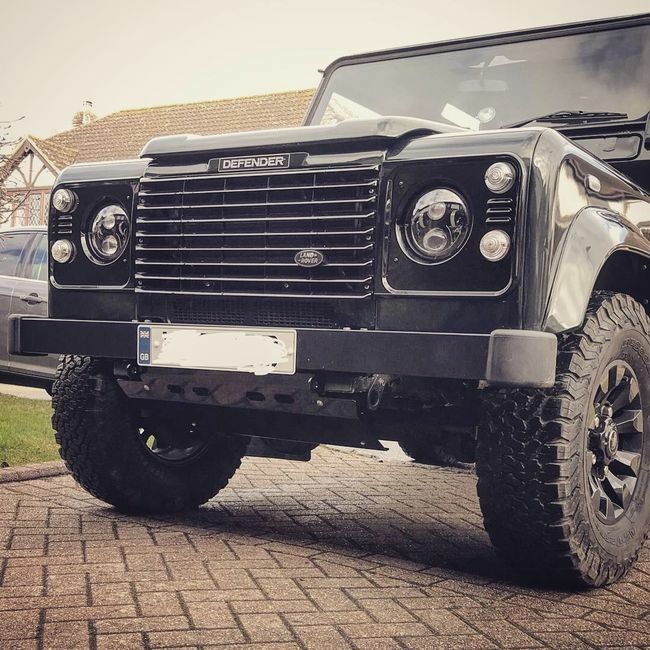 Will be after a quad drl front bumper soon! Looks good. My experience of Uproar was also very good. 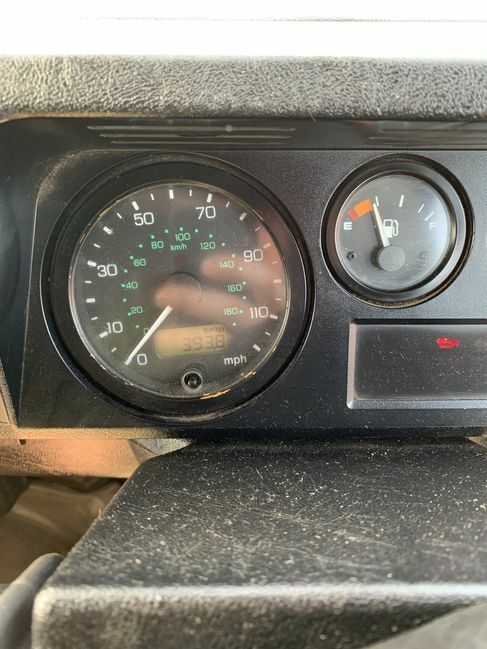 A friend is recovering from a serious operation and needed to get out of the house for a while, so I took him for a drive round various places in the Defender this morning. This afternoon I took the old 109" diesel out, to get some fuel. 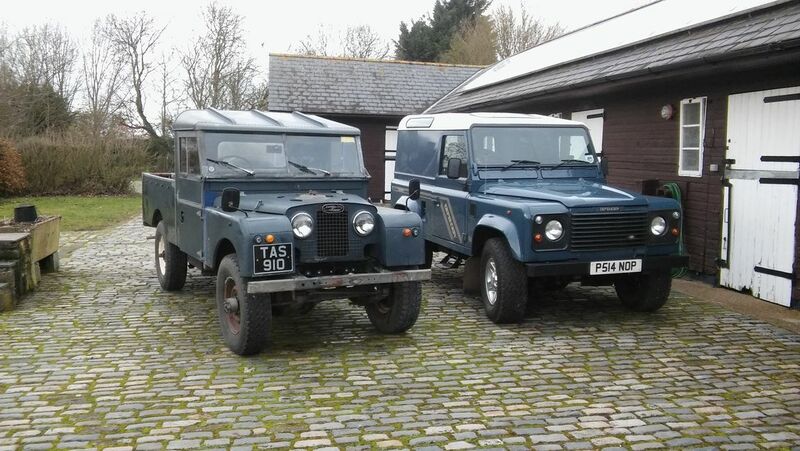 The difference between the old 2lt diesel and its 300Tdi great-grandson was hardly noticeable. replaced the nakantenga steering wheel boss as the lug on it for the indicator canceller kindly snapped off., new number plate bulbs as one had gone, the lock but on the mantec carrier had come loose so it rattled, new nylock fitted, winch stripped down and re greased and now free spools like a good n, All little jobs i have not got round to doing for a month or so. Next is to strip the drivers door and n/s 2nd row door down and look athe CL solenoids, they are actuating but not enough so i have to pull the door pin up to unlock the doors properly, most annoying as these 2 have already been replaced with OE ones, i was considering putting an elastic band round the mech to aid it. Most frustrating part of the job it re attaching the door card, after it has snapped all the black pins and then the back of the door card yellow bits are tossed and it takes forever and a day to sort it out. I am also getting ready for an o/s 2nd row door as the rust at window sill is getting bad. I changed the broken Wipac Led flasher relay for a RDX one. Opened both up and despite the RDX costing almost x3 as much they looked identical inside!